Dev, on that day, stormed in the home, throwing his shoes, bag, and water bottle. His school uniform was all muddled up, and so he was, covered with dirt from head to toe. Meera, his mother, thought there might be some sports event in the school and it’s during the game, he might have become such a mess. But Meera got the hint when she saw his face, redden in the anger. Meera, “What happened”, while giving him an orange. But he quickly adds in his defense that they started the fight by calling him nothing. Meera cleaned him up and dressed him in fresh clothes. Meera, “Oops! I forgot” Then gave him a bowl of rice. Meera gave him sugar this time. Dev looked at her, a little frustrated, and then put the sugar jar on the kitchen top. Meera lights the gas, and started preparing the kheer by adding each ingredient. 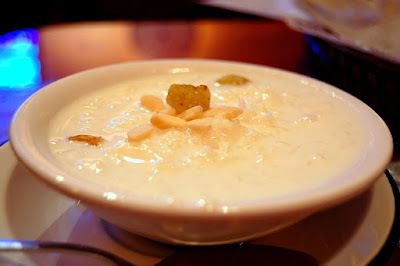 After some time, kheer was ready. Dev saw everything. While Dev was eating the Kheer, Meera asked him, “Do you get anything?” Dev, “What, Mum?” Meera, “How thing works? How kheer is made?” Dev, “Yes. You light the gas. Put the container. Put all ingredients one by one. And after sometime, it’s ready.” Dev stops with a big smile.